LOENEN, THE NETHERLANDS, SEPTEMBER 6 2014: Old steam locomotive pulling railroad cars in the countryside. 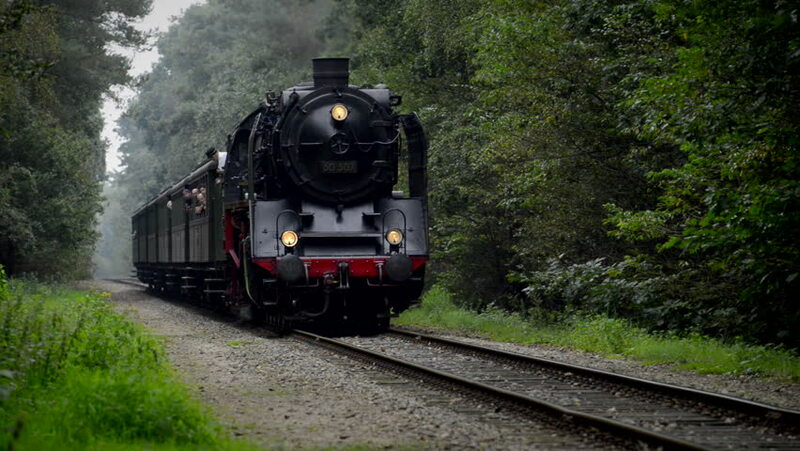 hd00:30Old steam locomotive pulling railroad car in the countryside. 4k00:26BEEKBERGEN, THE NETHERLANDS - SEPTEMBER 6: Old diesel locomotive pulling railroad passenger cars in the countryside.